Today I'm reviewing the book Astral Projection: The Out-of-Body Experience: A Complete Guide by "Author Unknown". Well, that's certainly an intriguing title, so I had to buy it for my OBE book collection. It made me wonder: Why would any author want to publish a book as "Author Unknown"? If it's a complete guide, I'd think the author would be proud. Of course, there are certain advantages to anonymity: Maybe the author is concerned about his or her public image? Maybe the author is concerned about legal ramifications, or plagiarism? The book doesn't even have a copyright date, which is definitely odd in the publishing business. I had to delve into this mystery and read the book. The first thing to note is that it's not in a standard format. The pages are full-sized, not book-sized, like it came straight out of the word processor. There are only 71 pages, but given the oversize pages, it still has a lot of information. "Here is a simple, reliable method, I have developed, to create your own personal realm:..." (pg 13). The author then describes a technique that involves a spotlight or directional bedside lamp, pointed at a poster. But wait a minute! This description is pretty much the same as a technique described by Robert Bruce in his excellent book, Astral Dynamics. So, I wondered, is this author ripping off Robert Bruce? Or is it really Bruce himself? But Robert Bruce developed that technique for blind people, didn't he? "See my new book "ASTRAL DYNAMICS" Chapter 21 - Overcoming The Mind Split -for more detailed information on this." (pg. 51). In short, this is a "Readers Digest" super-ultra-condensed, unprofessional version of Astral Dynamics by Robert Bruce. I believe the original text probably predates Astral Dynamics, and its immaturity shows. It's clearly been reworked and re-edited many times over the years. For many years, Robert Bruce gave away free information about astral projection on the Internet. It's basically good solid information, and I admire him for all the hard work he's done for the OBE community. This book could be some bottom-feeder's copy-paste of his original hard work. 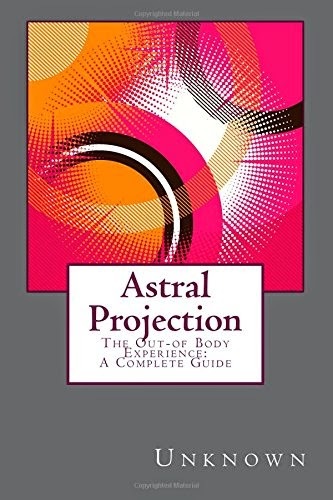 The bottom line is: If you want good, solid information on astral projection, don't buy this book. Buy Astral Dynamics instead. It's professional, well organized, well written, and comprehensive. Plus, it's good. It's also 560 pages long; much more "A Complete Guide" than this book of 71 pages. Don't settle for an inferior book when the high quality comprehensive book is available. So who is making money off of an old, inferior text by Robert Bruce? I sure hope it's Robert Bruce, but I wouldn't guarantee it. I can't imagine why he wouldn't put his name on it, unless he's afraid he'll be sued by Hampton Roads Publishing, the publisher of Astral Dynamics. Or unless he's a plagiarist taking advantage of him. I tend to believe it's the latter; Robert Bruce would probably do a much better job of creating a condensed version of his own information, or at least find a better pen-name, like "Bruce Robertson."